On Monday, French President Emmanuel Macron released an international agreement on cyber security principles at the Paris Peace Forum. While the pact was signed by 51 countries, 130 global companies, and 90 charitable groups and universities, the five most notorious countries in cyber warfare refused to sign. The Paris Call for Trust and Security in Cyberspace, as the pact has been called, is a coordinated effort to get countries to agree on a set of international rules for cyberspace. However, the usual suspects when it comes to cyber warfare – The US, Russia, China, Iran, and North Korea – have not signed the pact, making us wonder if the agreement makes any sense without these countries showing an intent to maintain peace. To me, it is clearly not a surprise why the aforementioned countries refused to sign the pact, as their strategies in defense and geopolitics have heavily relied on cyber warfare for more than a decade now. Russia is infamous for interfering with the politics of several nations, using their cyber vulnerabilities to undermine their democratic process, and help the people they like to come to power. China has an unbeatable track record of stealing any valuable technology blueprint even from some the shadiest of corners of the world. The Washington Post reported that over the years, China has stolen numerous defense blueprints from the US including those of their F-35 fighter jets, the Black Hawk helicopters, and the Patriot missile system known as PAC-3. And an FBI report in 2013 noted that China had secretly developed an army of 180,000 cyber spies and “warriors” to carry out nearly 90,000 cyber attacks each year against the US defense networks alone. North Korea too has proven time and again that it makes up in cybercrime what it lacks in diplomacy and democracy. TNW’s Matthew Beedham reported that North Korea hacked computers to mine cryptocurrency as a revenue stream for the country’s government projects. And David Canellis reported last month that $882 million worth of cryptocurrency was stolen from a total of 14 different attacks on cryptocurrency exchanges since January 2017. Of these ill-gotten gains, the North Korean state-sponsored Lazarus group alone was responsible for stealing $571 million. And if Olympic Games was a sign of where American covert action was headed, were we ready as a nation to open this Pandora’s box? Once opened could it ever be closed again? The World Economic Forum also reported in 2016 that the US, China, Russia, Israel and the United Kingdom have the most sophisticated cyber warfare capabilities of all countries around the world. 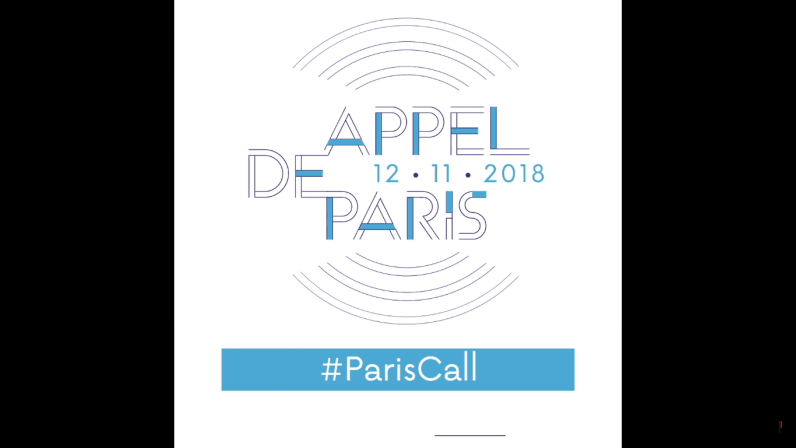 The Paris Call for Trust and Security in Cyberspace neither has any stringent rules for countries to follow, nor penalties for being out of line. It merely represents a declaration of intent among the countries to sign a more robust agreement in the future. But with the hard hitters in cyber warfare refusing even to show any intention of getting on board, does it really merit comparing the pact to the Geneva Convention?